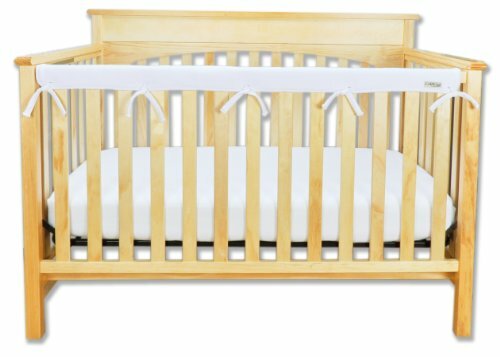 FITS VIRTUALLY ANY STYLE BED – No matter what style of bed, the Babyhome Side rail fits snugly and securely in place making it an ideal choice for platform beds or any bed that doesn’t include a box spring. 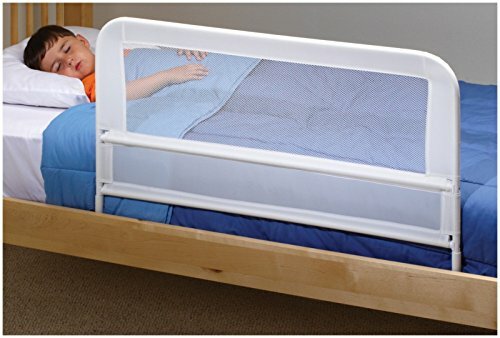 The length is just right: long enough to keep your child from working out around it, but short enough to leave space at the end of the bed to easily get in and out. SIMPLE TO SET UP & BREAK DOWN … EASY TO TAKE WITH YOU – Ever try to make a bed with the bed rail in place? NOT easy … until now. 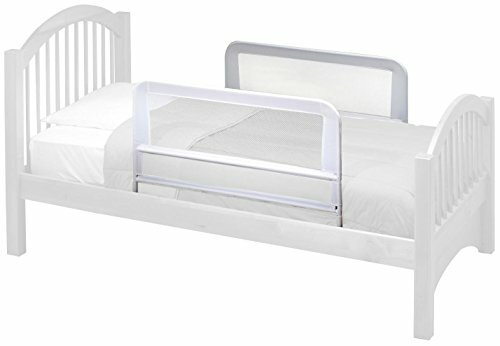 Hinged in both directions, the Side bed rail makes it possible to access the bed without having to remove the bed rail. Once you have it set up, you never have to mess around with it again. 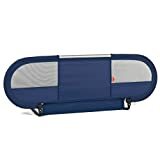 But if you do want to take it with you, Side disassembles in a few easy clicks and twists and breaks down to almost 1/3 of the size and tucks away in the supplied travel bag. SLEEK MODERN DESIGN & COLOR CHOICES TO MATCH ANY ROOM – The visual appeal of the Side bedrail starts with the aluminum rails surrounded by any of our bright and beautiful color options. Side is unique in offering the same height along the entire rail until it gracefully rounds down with curved sides at the ends. 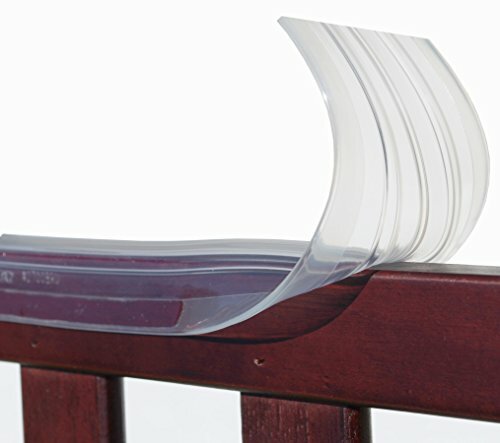 SIDE BED RAIL – QUALITY, SAFETY, CONVENIENCE AND BEAUTY – One would think a bed rail to be a rather simple product … not too much variation from one to another … but to the designers at Babyhome (and any parent who has tried the Side bed rail against virtually any other option on the market) this couldn’t be further from the truth. Attention to detail and quality contstuction is what truly sets the the Side bed rail apart. Corners are not your child’s friend … so side has rounded edges. Germs and dirt are unwelcomed anywhere, but especially in the sleeping environment … so Side fabrics easily remove for washing and are durable and meant to stand the test of time. We all don’t share the same style or decorate our kids rooms the same way … so we offer side fabrics in a variety of appealing colors selected to fit with most any taste and decor. How about making beds and changing sheets. With its dual hinge, the Side will rotate down and out of your way allowing complete access without having to remove the bed rail entirely. And then there is the shifting and moving that occurs when your more active sleeper presses against the rail. 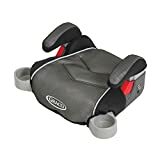 Side comes equipt with safety straps so that once it is fastned down it remains stable and upright and simply won’t be pushed out. 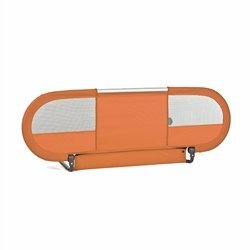 Lastly, if you ever travel or need to transport your Side bed rail, it breaks down to almost 1/3 its size and fits neatly into the provided travel case that doesn’t make it look like you are travelling with a mini surf board. 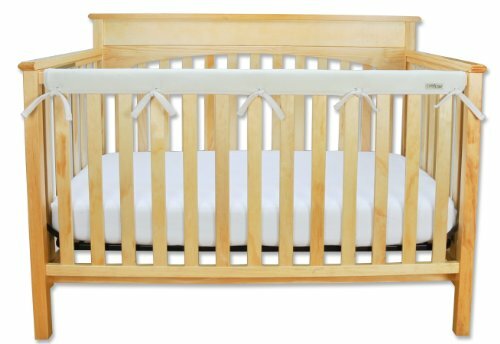 Its easy to overlook some of these features if you have no experience with bed rails, but if you have tried others and experienced some of these issues then you will truly appreciate the quality and design achieved in the Babyhome Side Bed Rail. If you are the kind of person who appreciates the little things then we know you will love the Side! 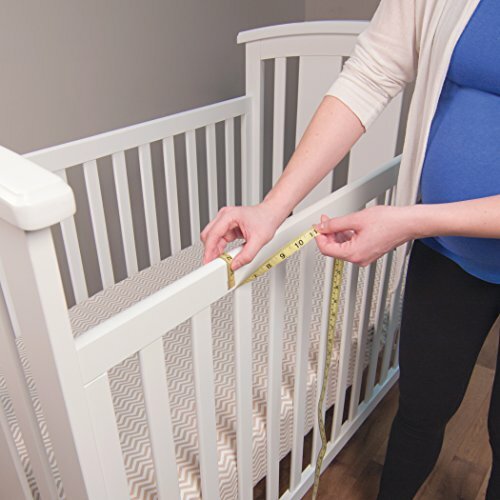 SAFE, COMFORTABLE AND PRACTICAL – The Side bedrail comes with mesh sides that give you both visibility to see your baby as well as to ensure the ability to breath should your child snuggle in to the rail while sleeping. 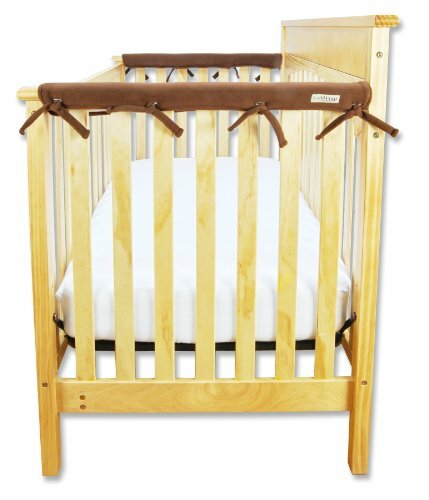 Safety straps hold the bedrail securely in place ensuring the rail remains tight to the mattress allowing no space to get trapped between the rail and mattress. Rounded ends means far fewer tears caused by a sharp metal corners. 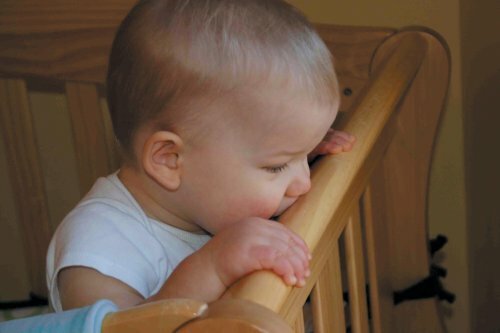 DURABLE, REMOVEABLE AND WASHABLE FABRIC – Even if you don’t allow snacks in bed, the fabric of your bed rail is a common place for dirty, sticky, germy fingers to grab hold of. 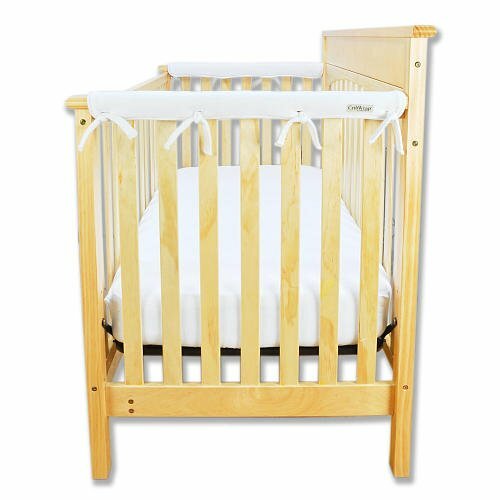 Side bedrail fabrics are durable and simple to remove and wash ensuring a clean, germ free cover at any time. The mesh sections allow for air circulation and easy viewing as well as offering a nicer aesthetic. 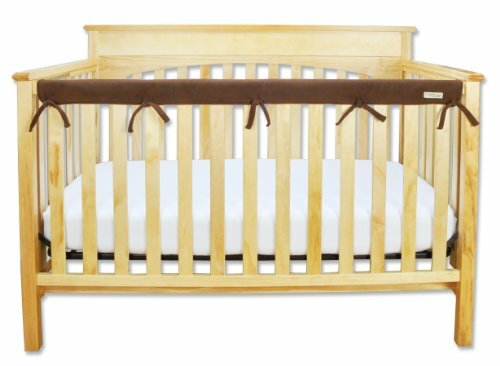 Trend Lab Fleece CribWrap Rail Cover for Long Rail, White, Wide for Crib Rails Measuring up to 18″ Around! 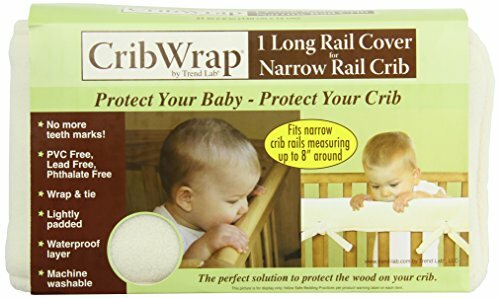 Trend Lab CribWrap Fleece Rail Cover for Long Rail, Natural, Narrow for Crib Rails Measuring up to 8″ Around! 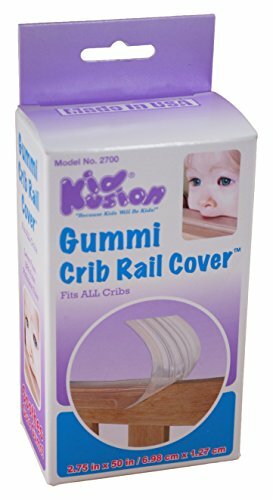 Trend Lab Fleece CribWrap Rail Cover for Long Rail, White, Narrow for Crib Rails Measuring up to 8″ Around! 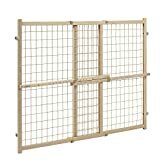 Trend Lab Fleece CribWrap Rail Cover for Long Rail, Brown, Narrow for Crib Rails Measuring up to 8″ Around! 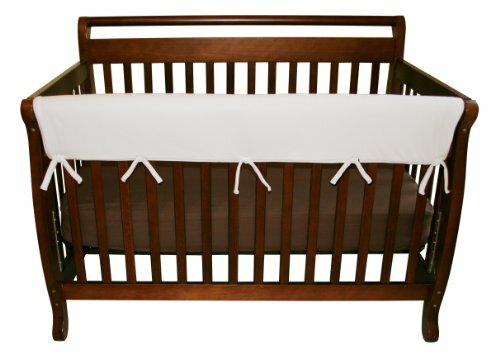 Trend Lab Fleece CribWrap Rail Covers for Crib Sides (Set of 2), Brown, Narrow for Crib Rails Measuring up to 8″ Around! 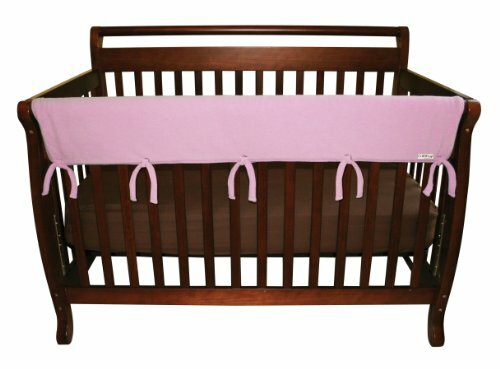 Trend Lab Fleece CribWrap Rail Cover for Long Rail, Pink, Wide for Crib Rails Measuring up to 18″ Around!